Moving Messages - Your moving scooter billboard will dominate the outside of the convention center, as they wiz by towing trailer ad signs. 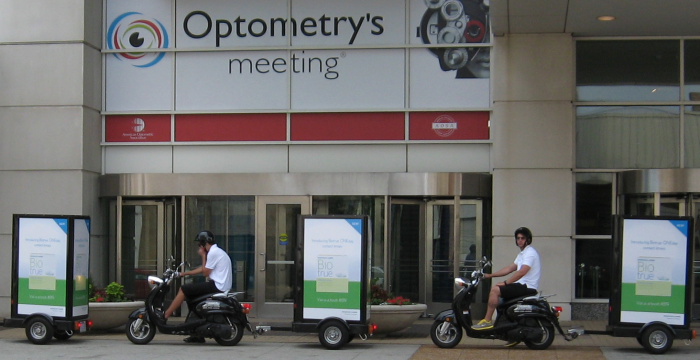 Scooter billboards circle the convention center entrances and key host hotels as attendees walk to and from the event. Outdoor Placement - Be heard beyond the convention center ad clutter. Scooter billboards are novel and memorable.